A few weeks ago, I received a request to customize a doll for a special 1st birthday celebration. Little Sadie Jane is the sunshine in her mother’s eyes and I was blessed to be able to be included in this special little girl’s 1st Birthday. How special it is to be apart of someone’s life. I have been amazed, going into someone’s home (a friend’s friend whom I did not know) and found my ornaments hanging on their Christmas tree ~ that was an incredible surprise and one that I’ve never forgotten. So to have a request like this, just makes me feel so lucky. 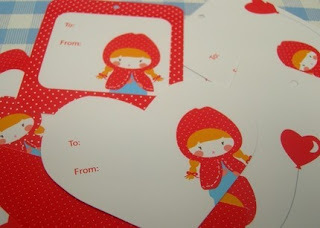 Here’s Little Red in love stationery set created by Happy Papers Sadie’s mom picked for the party. 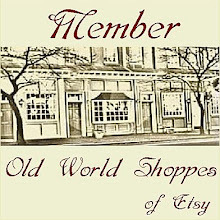 Isn’t it just lovely... she has so many of the sweetest downloads for your own graphics to use to celebrate that special event. During the making of Little Sadie, I thought, after seeing the invitations that I should include some of the newest items that I’ve been experimenting with ~ lovely wooden mushrooms in pastel colors. 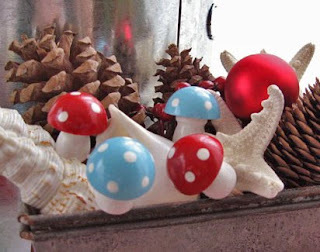 So not only with Sadie have a special dolly but also some really cute mushrooms to remember me by!! And here’s Little Sadie (pictured above)! In searching for material for this cutie, I found some big polka dotted red material but when my friend, Nancy, sent me some material that she had ~ there were several pieces for really cool fabrics, there it was, this wonderfully petite red polka dot material that was perfect for Little Sadie!! And my best wishes to the lovely little girl who’s cute face will be covered in Birthday frosting in another few weeks! 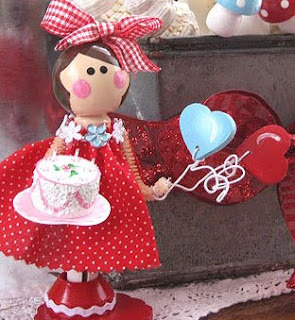 If you know anyone who would also like a doll, just let me know... email me at fromnancysheart@yahoo.com or stop by the shoppe to pick the dolly for your celebration.